It's been a heavy couple of days. After yesterday's emotional post, I was feeling more than I thought I would. I'm not sure if it was necessarily sadness, as much as feeling a lot of different things. I don't even live at that house, and it's the right decision for everyone. I didn't sleep so well last night, between spending so much time in my own head and having allergies of some sort. My eyes were so swollen and red I thought I had pinkeye, but it appears I'm just not used to all the dust and stuff that gets kicked up in moving. So I set out early for an easy four miles per my training plan. 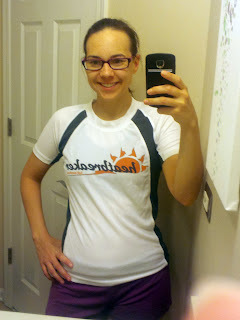 I wore my Heatbreakers Indoor Half shirt for the first time, which was pretty sweet. Then, we went back to my parents house to keep the moving party going. We packed, cleaned, moved and unpacked. 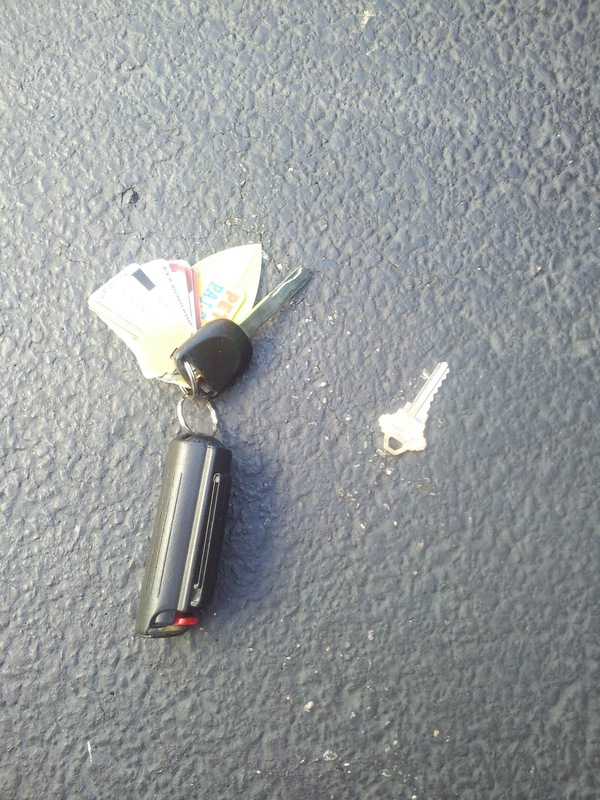 At the end of the day, my sisters and I all forked over our keys to the house. It was a strange moment. The key is just a thing, of course, but it's the key that I've carried for at least 10 years. Even if I was a world away, I knew that key would open the door 10,000 miles across the globe where my parents were waiting for me. So after all that, Tim agreed that we needed to lighten the mood. 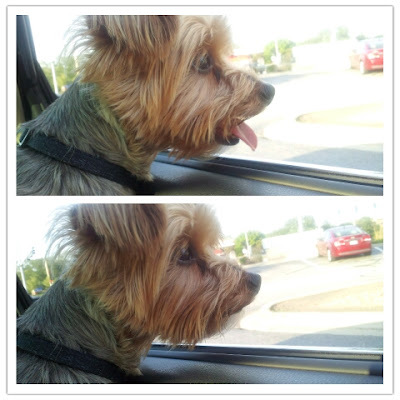 We took a little dog on a ride to rent a movie. 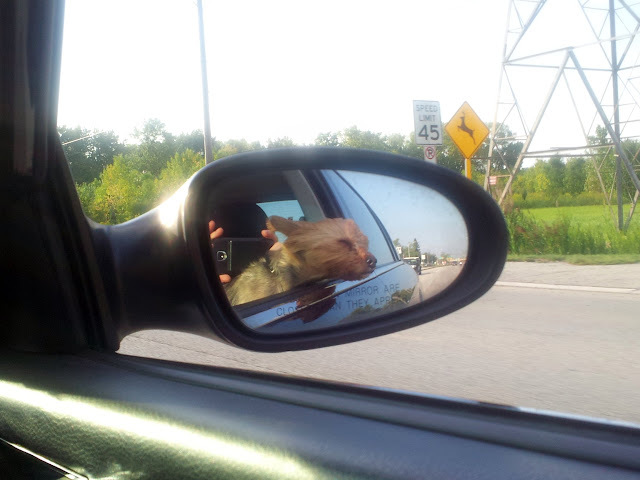 It's always hilarious taking Napoleon on a ride - it's the highlight of his little life. And now, we're watching Inception for the third or fourth time. I love this movie so much. Have you seen Inception? How do you interpret the ending? I'm posting my thoughts in the comments, in case you don't wish to know. Just to lighten the mood: 48 Things that Will Make You Feel Old. Numbers 16 and 20 were interesting to me. And number 14 is especially hilarious as I just went through boxes of large floppy disks at my parents' house. Also, one of the drinks in number six I found at my parents' new house today. I think he's dreaming at the end. I don't think he ever woke up after Mombasa because it's the only way he can see his kids. He is totally dreaming in the end. That movie depresses me, because of that! That top is so cute! I like the gray stripes. Now I feel bad for my previous comment about a house just being a house! I'm sorry! P.S. #9 made me feel especially old. #17 - Haile is cute! It is crazy seeing all those kids who look older now. And Meryl does never age. Damn. It's totally true, it's just a house. And it's not like they're knocking the place down with all our possessions inside. Inception is an amazing movie - one of my favorites. I kind of forgot my thoughts since I saw it a while back, but I agree with you that he may have been dreaming. Great thought provoking movie! And yea, the parents moving would be weird - my parents have now been at the same house for 26 years, would be odd going to a different house sometime. I hope Fox Valley marathon goes well for you!